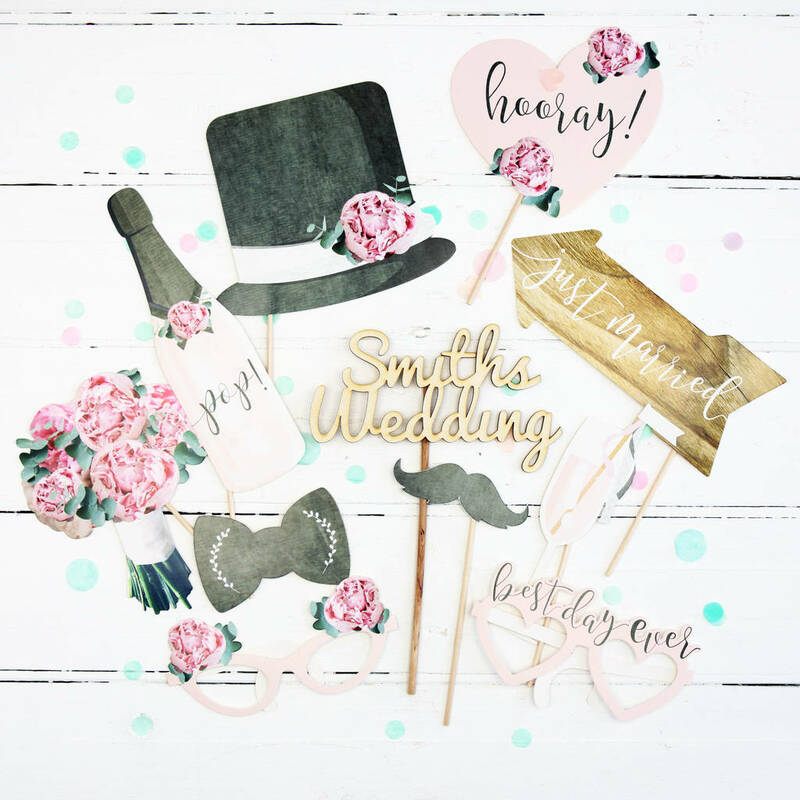 Make your wedding photos even more memorable with this set of fun rustic wedding themed photo booth props and personalised wooden prop! Capture some alternative photos of your friends and family on your big day with this set of rustic wedding photo booth props and why not add a personalised wooden sign too?. 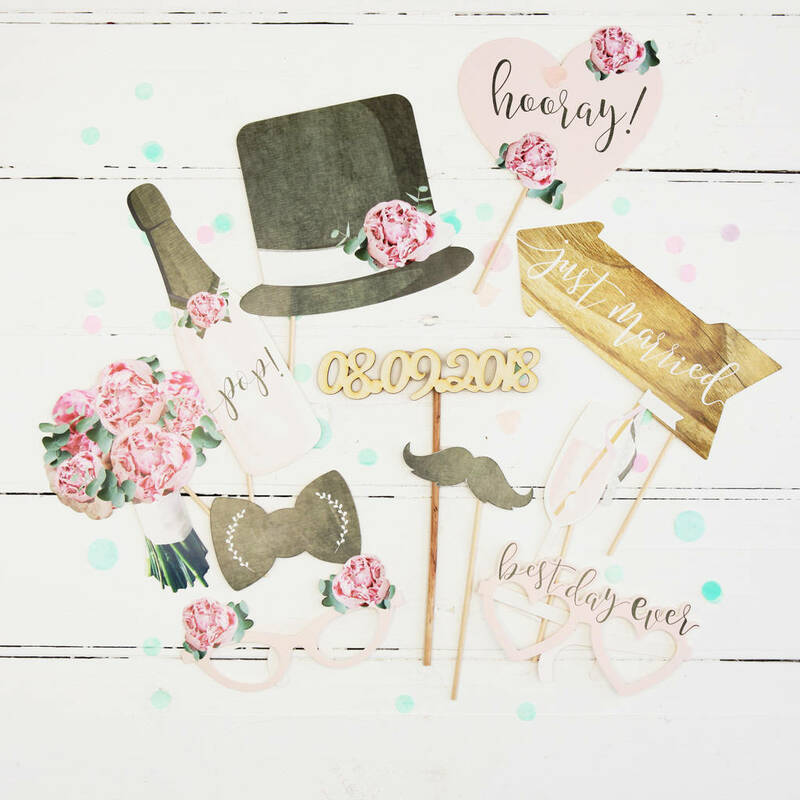 Each pack includes 1 x Bouquet of Flowers, 1 x Top Hat, 1 x Moustache, 1 x Bottle of Champagne, 1 x Glass of Fizz, 1 x Bow Tie, 1 x Wood effect 'Just Married Arrow Sign, 1 x Heart Shaped 'Hooray' sign and two sets of glasses. The wooden prop is made from 3mm plywood and is the perfect keepsake long after the big day. Simply tell us the surname of the newly married couple, the sign will say 'surname's Wedding'.